50 Shades of Grey official movie trailer was just released and spread like wildfire on the Internet. 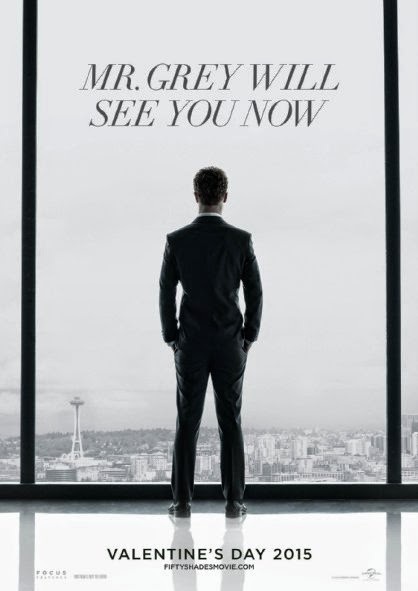 Mr. Grey will see you soon! The movie inspired by and based from the stimulating novel of the same title, written by E.L. James, finally have a movie due for release first quarter next year. The trailer went viral and fans of the novel can't wait to see this on the big screen. We haven't read the novel, but due to this teaser, we're gonna get a digital copy of 50 Shades of Grey. Stars Dakota Johnson as Anastasia Steele and Jamie Dornan as Christian Grey. In case you don't know, Dakota also starred in the movie Need for Speed as the ex-girlfriend of the main protagonist. Ladies, what would feel if Mr. Grey is just around the corner waiting for you?